End users are rejoicing at the prospect of WordPress’s latest upgrade to version 5.0 also known as Bebo. On December 6th, 2018 Automattic and its contributing developers launch the most stable version of WP-Bebo 5.0. 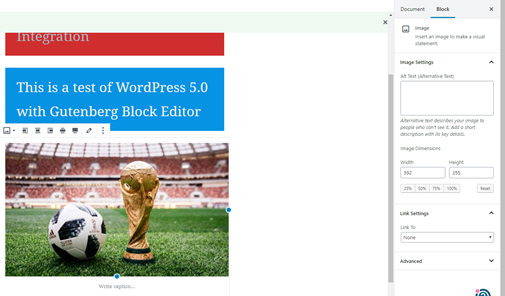 The new WordPress engine update comes with the fully integrated “Gutenberg” block editor and the brand new 2019 theme. 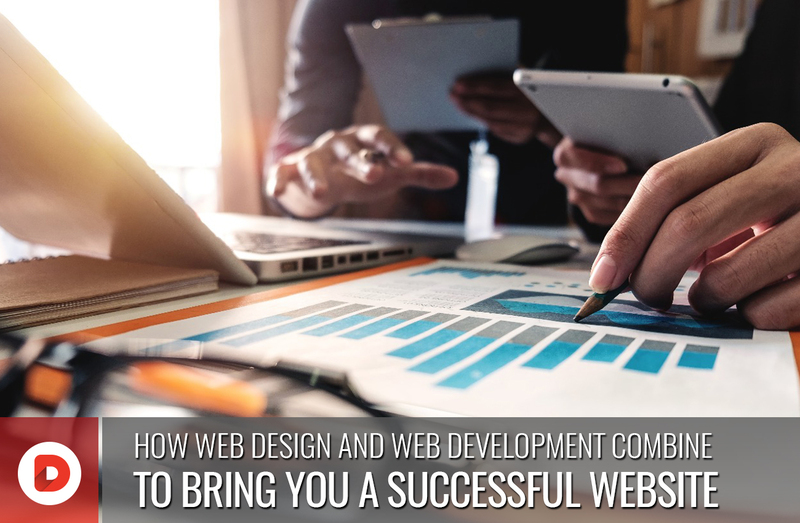 Web design professionals and every reliant web agency will breath a sign of relief with some brilliant time saving features added to the console. 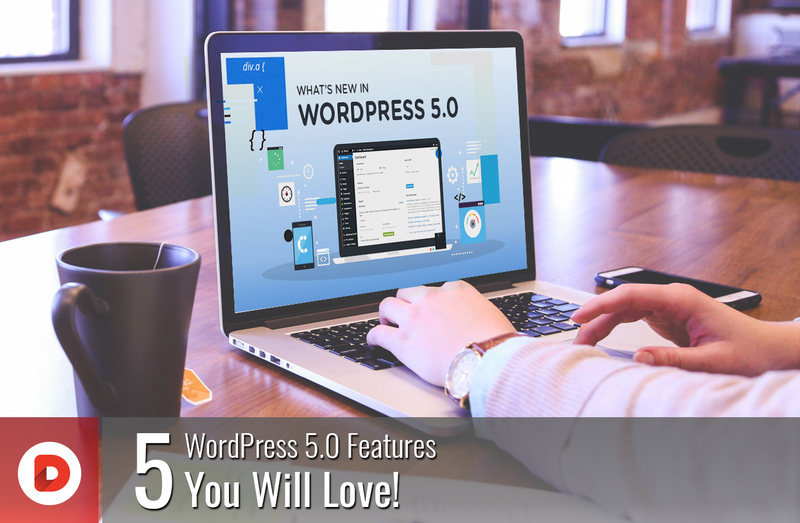 WordPress end users and developers can download the new 5.0 update directly from their WordPress Dashboard, or download the upgrade from the official website. 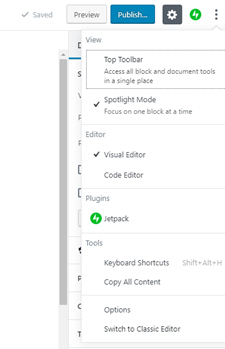 The basic concept of the new update as we can notice in the video demo is to ‘create without limits.’ The complete integration of Gutenberg into the core of WP, an elegant new 2019 theme, upgraded tools, changes to the build process, and more makes this update one of the most significant in the past few years. The new block editor looks more reliable and improved, but still has its unique performance issues that should be fixed in upcoming tweaks of 5.0. 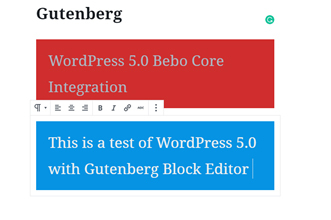 Gutenberg now becomes the default editor in WP 5.0, however you can always revert back to the Classic editor if you feel it’s not your cup of tea. The document feature is where you will find all the features you would find in the Classic Editor. This includes choosing categories, uploading new images, choosing feature images, edit permalinks, set tags etc. The block feature is the new core integration, and will be new to everyone. Those who have used WordPress Page Builder will quickly associate with this amazing new addition to 5.0. You can customize font size, background colors, add tables, add image blocks, edit audio files etc. in this section. On the top left hand side you will see the ‘+’ sign that adds ‘blocks’ to add content. A predefined menu pops up that lets you add everything from paragraphs to audio files to your blogs and website pages. Simply drag and drop media and URLs to your blogs, adjust size, and reorder them with a click. Creating lists and adding quotes has never been simpler with dedicated blocks already customized for fonts, placement, and colors. Once a block is added you can edit its styling, design, placement, and other aesthetics from the ‘block’ menu of the right handside. The great aspect of Gutenberg for the end user is the very easy single click editor for images, text, audio, and other file types. This is an amazing feature for less proficient users who simply wish to publish blogs and manage minimal design websites. The click and go block editor also makes adding widgets to your pages easier. You can simply click and add widgets, with functionality for 3rd party widget apps also built into the core infrastructure. You can also choose to edit blocks together or in spotlight mode (i.e. one by one) from the settings menu on the top right hand side. This is where you can toggle between the visual and code editors, and revert to the Classic Editor too. Another feature that provides great support for both web designers and bloggers alike is the ‘Live HTML Preview.’ By simplifying the use of HTML code within blogs and webpages the Gutenberg Editor significantly saves massive time & effort. You can now add custom HTML code into posts where relevant and then preview it within the editor. Although the recipient of massive criticism, I found that Gutenberg indeed makes content creation and edit much faster. The smoother, more responsive, and error free console does contain fewer functions but should be ready after a few tweaks. The new ‘Twenty Nineteen Theme’ was added to WordPress 5.0 to perfectly compliment the new block editor. The design as many developers have argued is better for smaller screens, with a lot of whitespace on either side of the text. This was primarily done to enhance the placement of cover images and banners. Web design experts will rejoice at the simplicity and ease of use with the minimal Twenty Nineteen theme. The ease of adding elements in blocks significantly reduces time required on both creating & updating pages. Twenty Nineteen Theme showcases the content displaying it ideally as it would look on the website. This was a major drawback of the Classic WP Editor, and is a brilliant change inspired from end user feedback. The modern minimalist & lightweight theme is ideal for blogs and professional websites looking to upgrade their UI and UX. WP 5.0 has also upgraded on several older themes to give end users a variety of visuals to work with. It will be amazing to see how the upcoming tweaks will change older themes and add more versatile elements to new ones. Being a novice one thing that I found really useful is the copy & paste feature now added, thanks to the Gutenberg update. As with older versions you will notice that the text will stay aligned, keep its formatting, and will be automatically split into blocks by the editor. There is however a major issue when copy pasting content from the classic editor to Gutenberg. You will notice that some text selections and images will behave erratically, some images will duplicate into new blocks while some text may also do the same. For those still having problems with copy-pasting from the classic editor, the developers have made it easier to make the transition. Using the “+” or add block button, scroll down and you will see the ‘Formatting’ menu. When you click the drop down arrow, the first option will be “Classic”. Simply add that block and content from previour editors will paste with its ideal preferences. Web design agencies handling multiple websites for clients will surely breath a sign of relief. And there is great use as this feature will hopefully be merged within the blocks in upcoming updates. The WordPress 5.0 development team has given great emphasis to the mobile design & compatibility of the new release. The new Twenty Nineteen theme provides a fully responsive interface for both mobiles & tablets. You can even preview blogs & pages in mobile and tablet modes through the editor. The real problem however is creating & editing content using mobile devices. The writing experience is much better on a desktop or laptop, as you will notice there are massive loopholes in Gutenberg compared to the Classic editor. Incomplete block sizes, erratic font behavior and misbehaving block placement are the common issues both developers and end users have complained about. 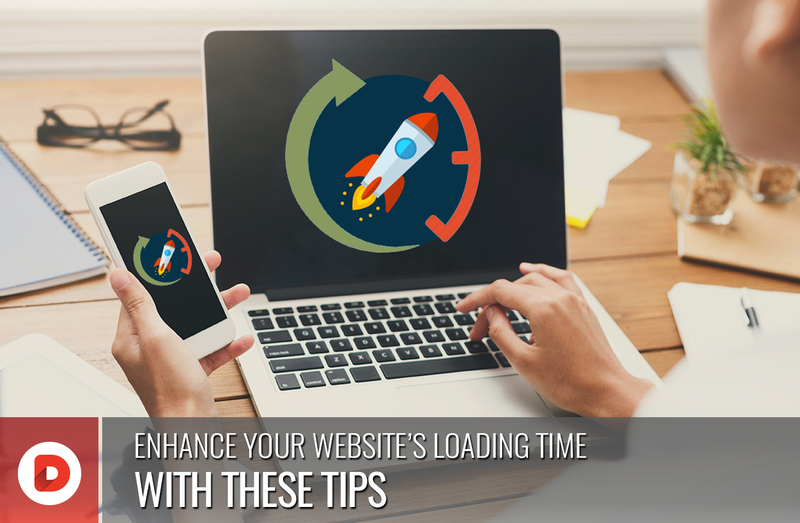 The mobile feature does improve page loading times, making your blogs and web pages load faster on both mobiles & tablet devices. Taking a page out of Google’s SERP guidelines, this is a feature that was much expected from the 5.0 update. Karim El Ouerghemmi discovered that authors could alter metadata to delete files that they weren’t authorized to. Simon Scannell of RIPS Technologies discovered that authors could create posts of unauthorized post types with specially crafted input. Sam Thomas discovered that contributors could craft meta data in a way that resulted in PHP object injection. Tim Coen discovered that contributors could edit new comments from higher-privileged users, potentially leading to a cross-site scripting vulnerability. Tim Coen also discovered that specially crafted URL inputs could lead to a cross-site scripting vulnerability in some circumstances. 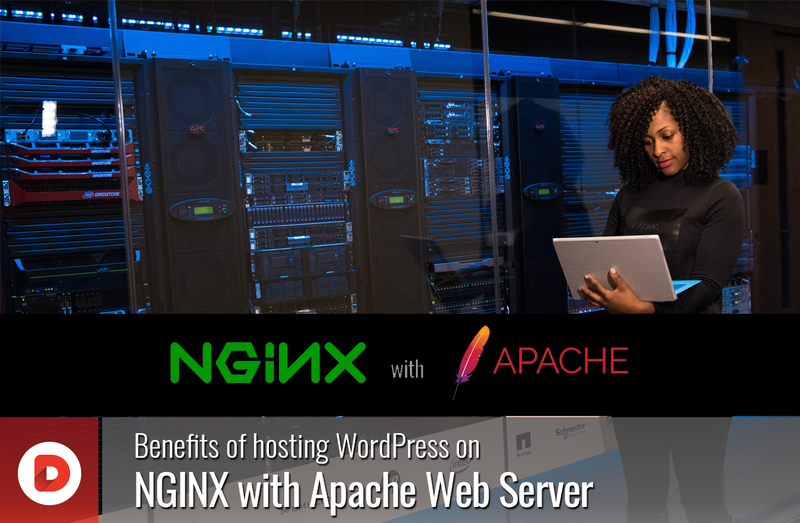 WordPress itself was not affected, but plugins could be in some situations. Team Yoast discovered that the user activation screen could be indexed by search engines in some uncommon configurations, leading to exposure of email addresses, and in some rare cases, default generated passwords. Tim Coen and Slavco discovered that authors on Apache-hosted sites could upload specifically crafted files that bypass MIME verification, leading to a cross-site scripting vulnerability. For any web agency managing client websites using post 5.0 versions, it is essential to wait before updating. It is also recommended for web design professionals to test their plug-ins in test environments to ensure that all of them indeed respond to the update. 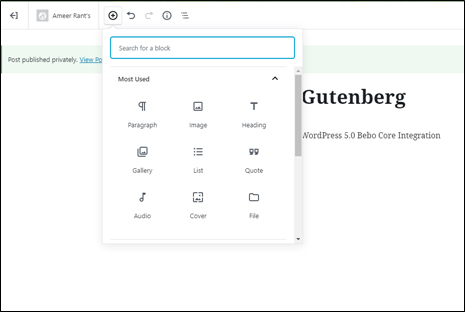 The new WordPress engine update comes with the fully integrated “Gutenberg” block editor and the brand new 2019 theme.